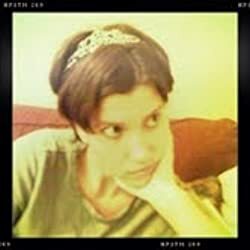 She is the author of the completed Wraith Series, Serial Summer, FanGirl, and Vigilant. She is the co-author of the New Adult Paranormal book, Odin's Murder with Kira Gold. Please enter your email address and click the Follow button to follow Angel Lawson! In the thrilling prequel to the Wraith series, learn about Connor's life before he figured out how to hide his secret from the doctors and his family. From the time when he couldn't tell the difference between being mad and being lost. Before he met Jane Watts and the events that followed him from one world to the next. First there were four... Oliver Jackson Hayden Anderson Then they met Heaven. A special follow up novella to the Allendale Four series. Unwilling to allow the Darkness to take another life or dominate her own, Morgan and her Guardians must find a way to stop history from repeating itself. When Morgan finds an ancient spell that may do the trick will the Guardians assist her? And if they do how much risk are they willing to take?